Today’s messy situation was submitted by Angie! Angie, you can totally do this! Start by looking through your eBay stuff again – do you generally follow through on selling, or do the items just sit and sit? If you tend to follow through, are those particular items worth your time and effort to photograph, list, pack up, and ship out? If they are, then list those items now and get them out of your house! Or, free yourself from the commitment and simplify you life a little bit by just dropping the things off at a donation center and writing the amount off on your taxes. It sounds like you need a defined space for office work in addition to your space for home papers so separate those things out. You can dedicate a tote or a drawer to work documents, and have a separate drawer or tote for personal documents. I wrote another article about how to simplify the paper clutter – that should really help you out as you declutter. 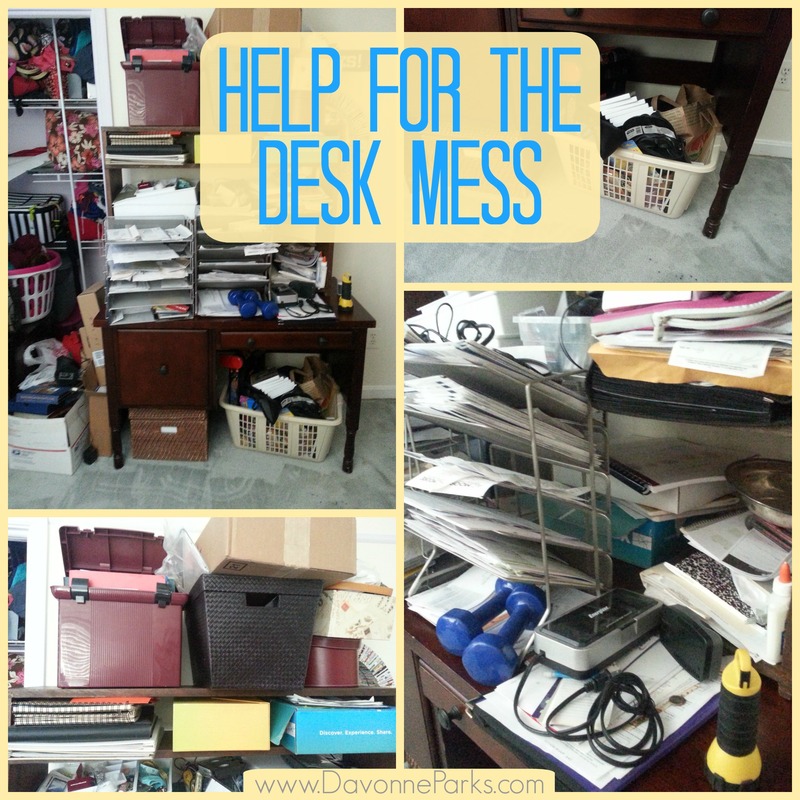 Dani wrote a fabulous article about how to turn a messy home office into something beautiful so definitely check that out as well. In addition to extra papers and eBay items, I think I see a closet without a door to the left of the desk – make good use of that closet! 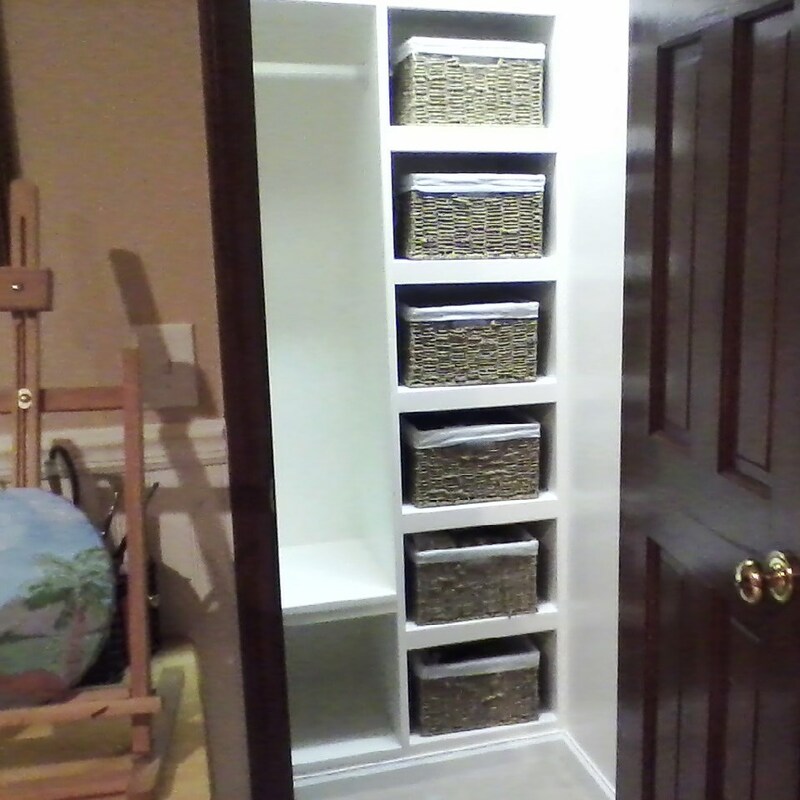 My mom uses pretty baskets in her closet to neatly store items – you could do something similar using the baskets and totes you already have on-hand. I hope this helps you, Angie! 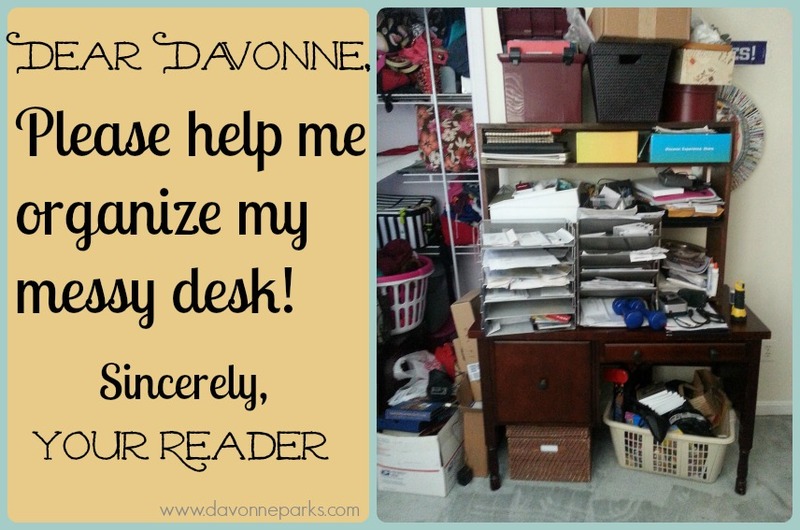 Please let me know if you have any more questions about your office, and don’t forget to submit photos of your great space after you’re finished decluttering! PS Go here to see how to get your own FREE personalized organization advice.